Black women made the difference in a closely-watched Senate race in Alabama, giving America a new glimpse at African-Americans’ true political power. Doug Jones’ Alabama Senate race victory over Roy Moore — a conservative Republican who “distinguished” himself with a series of raciallycharged actions and multiple child molestation allegations — was a political earthquake in a state that had not elected a Democrat to the U.S. Senate in a generation. But how did it happen? Political observers are giving the credit to African-American women — who turned out at the polls in record numbers, gave 98 percent of their vote to Jones, and allowed the Democrat to claim a narrow victory that signals a potentially monumental shift in American politics. 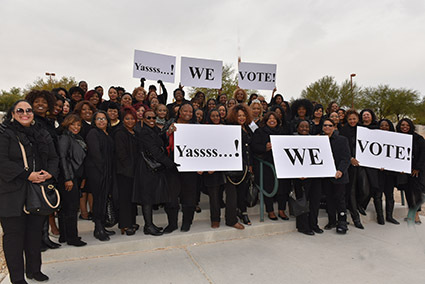 To mark this historic win for black female empowerment, Las Vegas Black Image Magazine assembled more than 100 local women for a celebratory “Yassss … We Vote!” photo shoot. 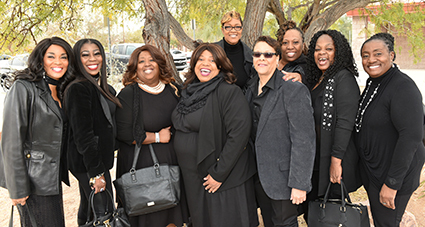 The ladies also enjoyed speeches from 100 Black Women organization president Tricia Mclaurin, Las Vegas Black Image Magazine contributor/Clark County Black Caucus president Yvette Williams, and Black Image publisher Kimberly Bailey Tureaud. One outcome of this historic day: Plans to honor the voting power of black men, and Las Vegas’ African-American community as a whole. 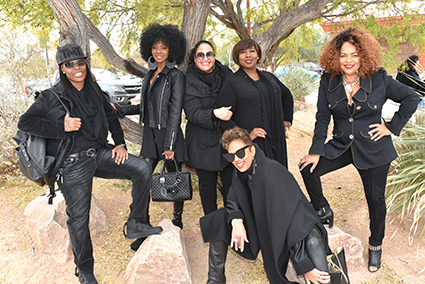 Grace Gaston: Thank you Las Vegas Black Image Magazine — and congratulations on making history and allowing us to be a part of it. #Honored #WeVote #WeUnite #WeEmpower. What an awesome feeling to be amongst great women again. Thank you. Robyn McGough: Thank you Las Vegas Black Image Magazine for the awesome opportunity. Congratulations for masterminding the historic moment. LaVona Lewis: This was the highlight of my year, Las Vegas Black Image Magazine. So many queens, so much fun. Carol Simpson: I loved being there for the special photo shoot and with my beautiful sisters. #WeVote. Belinda Denise: The photo shoot atmosphere was full of love. 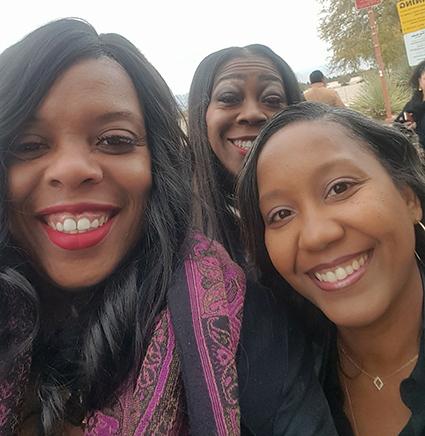 Patricia Snowden: Unity with beautiful women, queens…we are! Yes, We Vote! Teresa Paxton: Yasss! We did that! Thank you LV Black Image Magazine. I am truly honored to have been a part of this awesomeness. 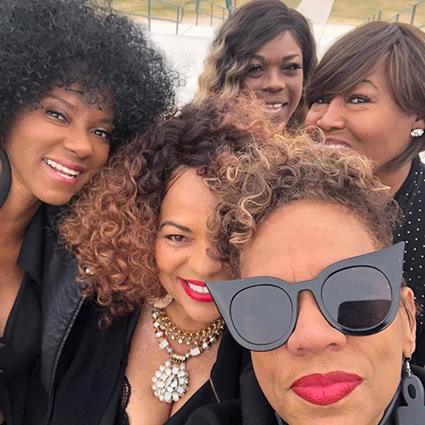 Roslind Robertson: #Beautiful; #Awesome; #Powerful; #Women; #Sisters. Thank you Las Vegas Black Image Magazine for this awesome opportunity. Aaliyah Ratliff: Thank you LV Black Image Magazine for all that you do for the community. 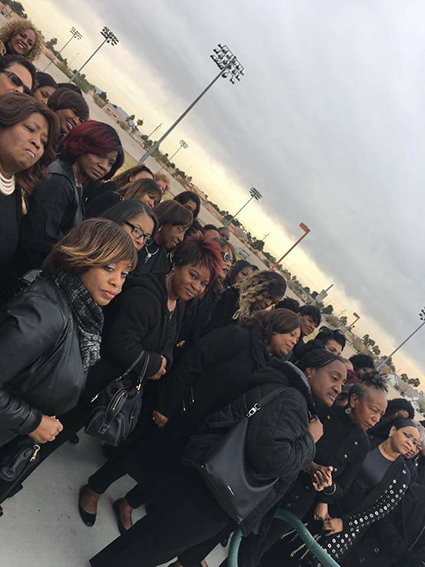 Yvonne Lewis: Las Vegas let’s take a moment to give Las Vegas Black Image Magazine a huge shout-out for the awesome job with the mass “Black Girl Magic We Vote” photo shoot. It was fabulous. Souraya Green: Thank you LV Black Image Magazine for such an awesome vision! It was wonderful being a part of such a grand move. #Yassss! 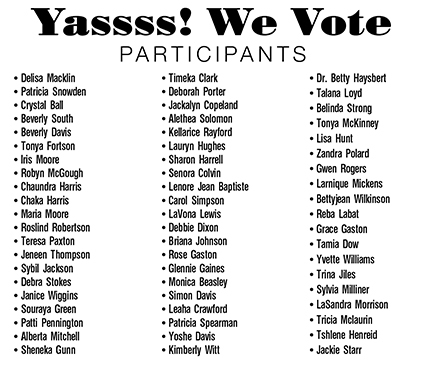 #WeVote #BlackGirlsRock. Shelia Henderson Glenn: Glad I was able to come out and support Las Vegas Black Image Magazine. Tshlene Henreid: Las Vegas Black Image Magazine called and we answered. “Thank you” doesn’t measure the feeling shared amongst the beautiful black businesswomen of Las Vegas. The synergy, smiles, hugs, and networking were fulfilling on so many levels. It was all love and all powerful. We appreciate all that Las Vegas Black Image Magazine does for our community and women of Las Vegas. If Alabama can rise to the occasion, Nevada can too. We’re ready! #WeVoteMovement! For additional information, call (702) 743-9613 or send an email to cdalasvegas@gmail.com.